MK Eichler says his party will push for establishment of national genealogy database. A haredi lawmaker has announced plans to advance legislation which if passed would establish a national genealogical database, listing every individual whose Jewishness has been verified by the Israeli Chief Rabbinate. 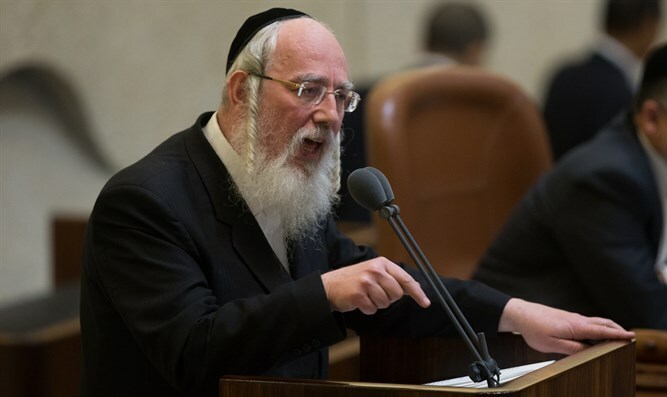 MK Yisrael Eichler (United Torah Judaism) said this week his party would push the “Genealogy Database Law”, which he first proposed last year. If passed, the law establish the first state-run database documenting the status under traditional Jewish law of all Israeli citizens. According to the draft of the law proposed last year, the database would be established and maintained by the Chief Rabbinate. The renewed interest in the bill, which was never brought to a vote the first time it was submitted, is due in large part to the recent proposal by a committee led by Moshe Nissim to establish a new, independent conversion authority. Under the new plan, state conversions would be removed from the auspices of the Chief Rabbinate, with a new Orthodox conversion council established to oversee all state-recognized conversions to Judaism in Israel. The plan would also grant formal recognition to Reform and Conservative conversions performed abroad.